My kids love family movie nights! It’s a great way to wind down from a busy week of school and activities and come together. The Meadows will supersize our family movie night at Paintbrush Park for The Meadows Movie in The Park Saturday, August 18th at sunset. Gather up your chairs and your blankets and head to the big field at Paintbrush Park to watch the movie Rascal Rebel Peter Rabbit (Rated PG). 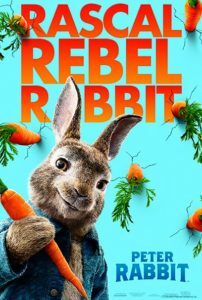 Rascal Rebel Peter Rabbit is a wonderful family movie. It’s one of my youngest son’s (age 9) favorite movies. They won’t admit it, but my older boys like it as well. Plus, it will be on a 40ft screen — you can’t go wrong. With a 40ft screen, it’s tough to find a bad spot! Movie in The Park starts at sunset, but you might want to grab your section of grass at Paintbrush Park early. Plus, it’s always nice to hang out and talk to neighbors before the movie. 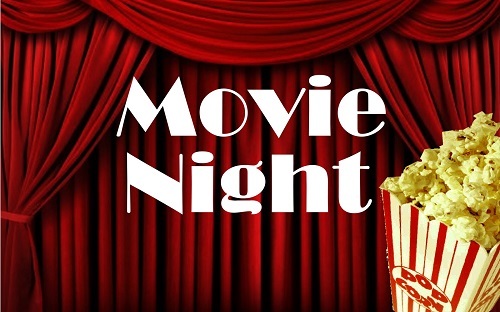 Pack some drinks and take advantage of FREE popcorn! It’s been hot lately, but you just never know when the weather in Castle Rock, CO can change. We do live in Colorado, so it’s best to pack a blanket and some sweatshirts and maybe even an umbrella. If you’re not in walking distance, there’s parking at Paintbrush Park, Wiggly Dog Park, and extra parking across Meadows Boulevard at the church. It’s another evening planned for family fun. Don’t miss Movie in The Park 2018, Saturday, August 18th, at sunset. It’ll be like our community version of a drive-in movie.